Home - Thomas Grozier & Son Pty Ltd.
Thomas Grozier & Son Pty Ltd.
Our aim is to supply quality product on time, every time, to ensure complete customer satisfaction. We have grown from a National Supplier of quality lubricants to one that supplies product around the world. This has been achieved through consultation with customers, suppliers, staff and accreditation organizations that all have an ongoing commitment to quality. 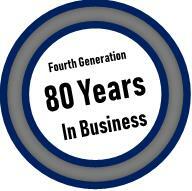 is a fourth generation family business that has been producing lubricants for over 80 years with a commitment to supply quality product. Our goal is to continue partnerships with companies that supply clean drinking water to communities around the world.